Like every year, on Sunday Delhi got a chance to witness an array of vintage and classic cars travelling through the main streets of the national capital as the 53rd Statesman Vintage and Classic Car Rally got underway. Among the exquisite beauties on view were a 1953 Ford Lincoln, Rolls-Royces, Jaguars, Chevrolet1966, Hillman and Mercedes Benz. Also charming onlookers were a 1914 Johan Morris, a 1942 Ford Jeep, a 1930 Studebaker, a 1929 Buick, a 1934 Opel, a 1920 Citroen, a 1934 Lagonda and several Buicks and Austins. There were even some old Fiats and Fords too that were part of The Statesman vintage car rally. Owners and their family members were seen in fancy costumes and traditional dress beauties. 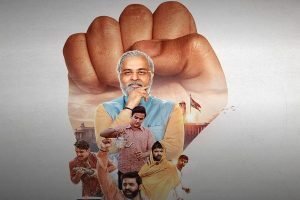 The show concluded in the evening at the National Stadium when Lieutenant Governor Anil Baijal distributed special prizes to those who participated in the rally. A total of 53 running trophies were given out, including in categories such as Most Elegant Car, and Best Overall Performance. Among the prestigious trophies presented were The Restoration Trophy, The Statesman Challenge Trophy and the JMAI Trophy. 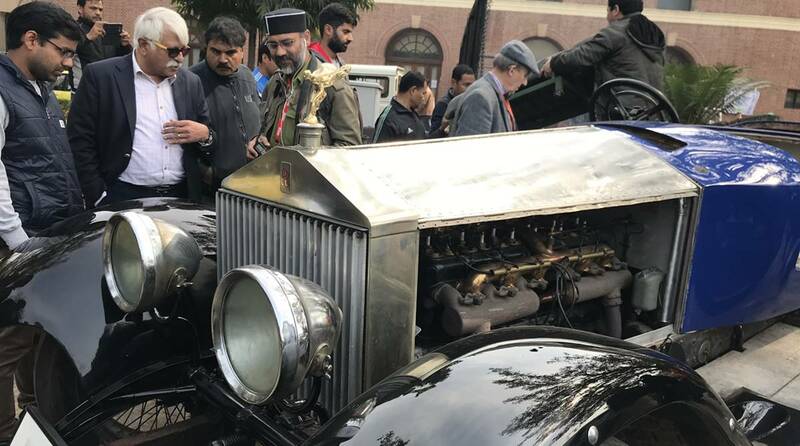 The John Morris 1914 fire engine, originally belonging to the Nizam of Hyderabad and now with the National Rail Museum, won the Statesman Challenge Trophy for the oldest vehicle to complete the road section of the rally. The owners of a Citroen 1920 bagged the Indian Oil Trophy for the oldest vehicle (pre-19140) on show at the rally. A Rolls Royce 1937 won the CR Irani Memorial Trophy for the ‘Queen of the Rally’. Another Rolls Royce 1936 won the Golden Jubilee trophy for the most outstanding Rolls Royce/ Bentley participating in the rally. Manik Singh, owner of a 1938 Packard, bagged the NBCC Trophy for the most outstanding American car completing the course. A Hillman 1936 owned by SS Kharagwal got the JK trophy for the best car entering this rally for the first time after restoration. Over 100 vintage vehicles and a few classic motorcycles were displayed in the exhibition area. The automobile aficionados were also treated to melodious tunes dished out by a BSF band. All these vintage beauties had earlier gone through a fair and transparent prejudging selection process held at Modern School, Barakhambha Road on 8 and 9 February. The panel of eight distinguished judges including RN Seth, Jitender Pandit, Rakesh Jain, Gyan Sharma, Promod Bhashin, Ashwini Kathpalia, Appasaheb Alur, Bernard and Sanjay Gupta had given the green signal to over 100 entries on various parameters like restoration, mechanical authenticity and originality of vehicles. What was truly surprising was the amount of passion these vintage and classic car owners displayed not with words but with their machines, which were all in mint condition. With gleaming bodies, sparkling paint work and chrome and gold embellishments, it was hard to believe that many of these machines were older than the people who drove them. Prem Chandra, who is over 60, on being asked what attracts him to the rally, said, “I feel privileged to be part of this rally. I have been participating for the last 40 years and my car has been admired”. He was awarded the Ramchander Nath Foundation Trophy for the best maintained Ford 1928 not manufactured in Britain.